I first met Steve in the early ’90’s when starting to restore/build my driver ’55 Chevy. I needed body & paint work, I thought. Three years later in March ’95 we debuted ‘The ’55’ at the Portland Roadster Show far exceeding my expectations for body/paint/interior and overall fit & finish. In ’96 we were sitting at the Portland Roadster Show sharing ideas to build a ’32 Ford coupe with a ‘427’ Ford FE side-oiler engine Steve had stashed away. To this day I am a firm believer to keep the manufacturer body and engine the same, so Ford in a Ford; Chevy in a Chevy, etc. So the ’32 had to have a Ford engine and what better than an FE ‘427. It also had to be a ‘steel’ body and I preferred an original as no one was making a repro ’32 3-Window at the time. Steve and I began the search for 3-Window coupes and un-earthed five ’32-’34 coupe bodies from California to the Washington/Canadian border. My ’32 3-Window was an old Eastern Washington drag car located in Sedro Wooley, WA. The ‘Whiplash’ project started in early ’97 and debuted at the 2000 San Fransisco GNRS, taking the coveted Al Sloanaker Memorial award for the ‘Best Engineering & Craftsmanship’ award in the show. It went on to shows up and down the west coast taking top honors everywhere, finally being inducted into the Portland Roadster Show ‘Hall-of-Fame’ in 2002. I still own ‘The ’55’ and ‘Whiplash’, with the Chevy having over 22k miles on her odometer from local and long distance trips from Cal to Canada. Many folks think the paint or car itself is new but it is actually going on 18 years old. A tribute to one of Steve’s original ‘hot rod – street machine’ builds. ‘Whiplash’ is still shown and driven more & more but remains to be a nasty, bad boy hot rod with a ‘427’. I have always stayed in touch with Steve and his shop guys, keeping up with his major projects and builds. 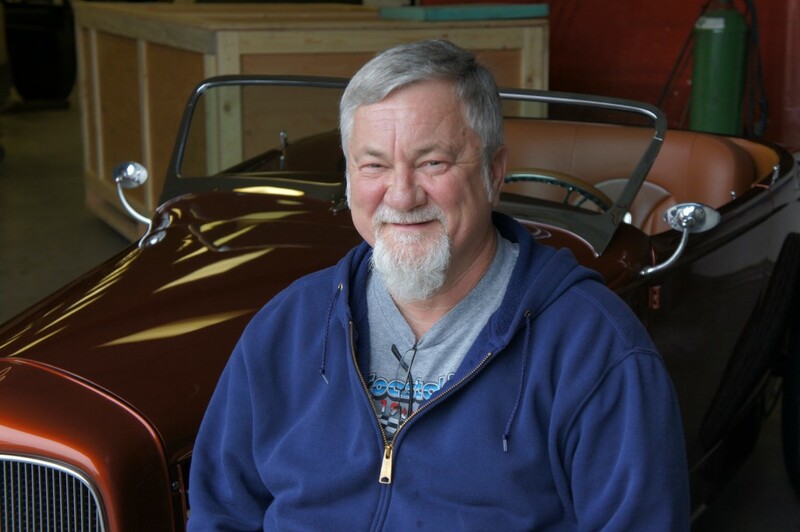 My original comment about Steve still holds….”you take Steve’s early days Concours D’Elegance build and restoration attention-to-detail and apply it to Rod & Customs, it is second to none”. Steve has truly raised the bar in the hot rod industry over the past two decades.